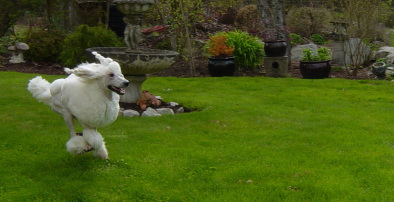 sweet outgoing temperament with the willingness to please complimented with a natural drive for retrieving. 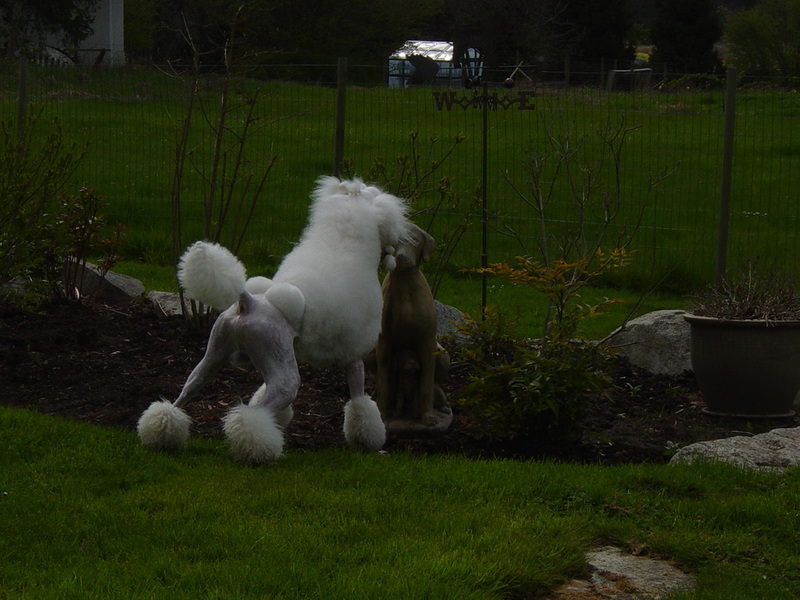 A very biddable and fun loving gentle Standard Poodle now living with a family! 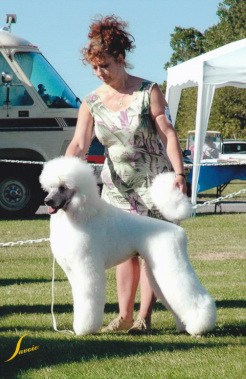 took one point for Winners Dog on Friday under Judge Cheryl Myers-Egerton. 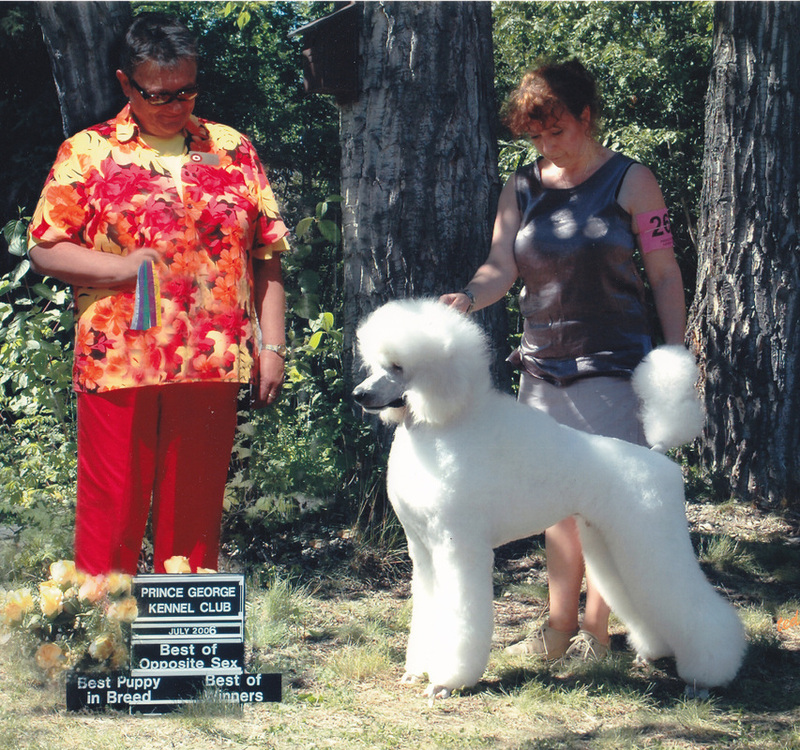 Best in Show Bred By Exhibitor! Thank you to Judge Joey Lim from Australia and also to Marlene Collins Son! I was so thrilled I jumped to shake Mr.Lims hand that I startled him! LOL. From the Bred By Exhibitor Class a Group 2nd!! the age of 2 days shy of 10 months old with a 5 point win taking Winners male, Best of Winners then Best of Breed and Best Puppy in Breed! 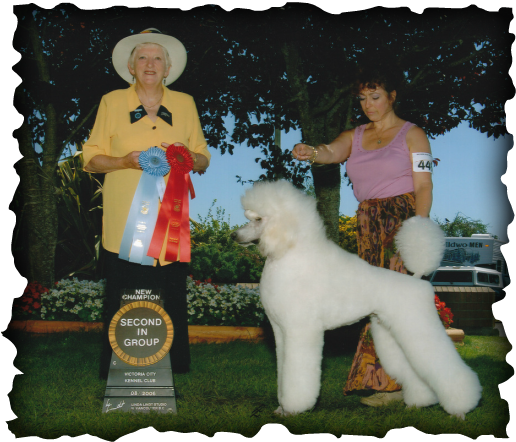 a Group Second and Best Puppy in Group!! 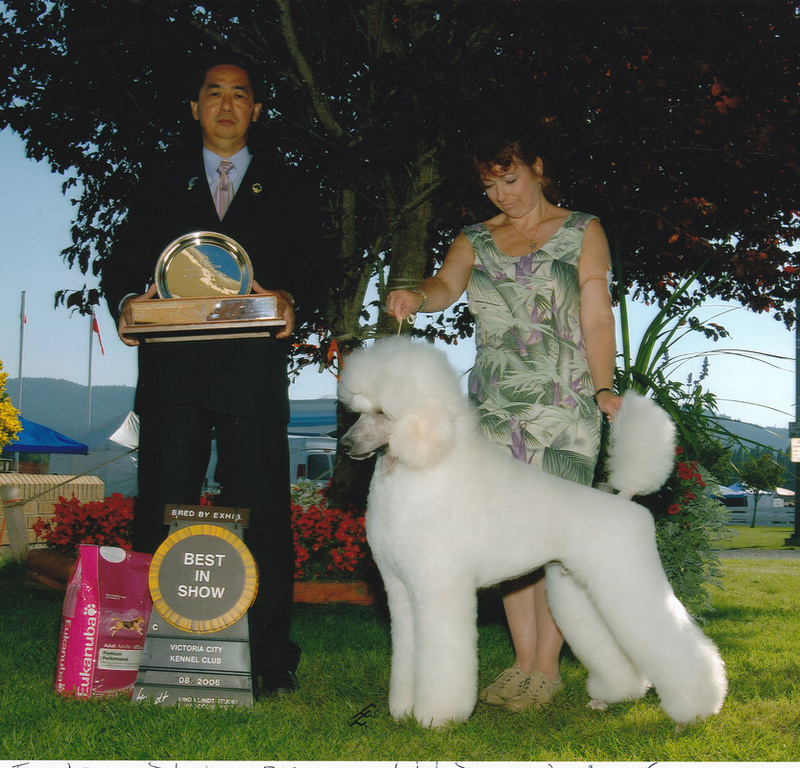 WOW what a fabulous weekend for Diamond and I all Breeder Owner Handled and Groomed I might add!!!! Thank you to Judge Joan Bennett (pictured). for the first time Diamond was having had a blast until he discovered a dog that was just sitting there!!!??? Hmmmm.